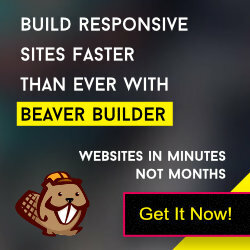 How do you create site header using Beaver Builder on Genesis Framework? These days Beaver Page Builder plugin is very popular tools for web development work. This plugin is also compatible with Genesis Framework and you can quickly develop a site. So I’m replacing the default Genesis child theme header with custom one using Beaver Builder plugin. Open the functions.php file of your child theme and add this small snippet at end of the file. How do you create the widgetized home page? When doing this technique, do we have HTML markup for header automatically wrapping the BB template? Yes. <header> HTML5 markup will automatically wrap with your BB templates. So you can feel free use this technique and will not lost the Genesis schema for header.